Chief Local Elected Officials Consortium of Workforce Connections, which is Southern Nevada’s Local Workforce Development Board (LWDB). One of the boards I sit on makes sure our Las Vegas tourism is and remains Number One in the world. The primary job of the Las Vegas Convention and Visitors Authority (LVCVA) is to put heads in beds. In 1955, the legislature created the Clark County Fair and Recreation Board, which evolved into the LVCVA, so we’ve been actively promoting Las Vegas for more than 63 years. Once upon a time, Las Vegas was the only game in town for gambling. 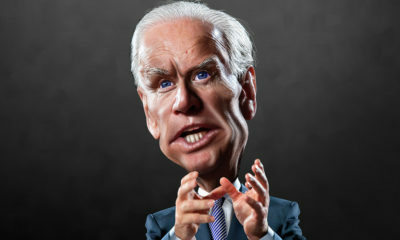 Today, according to Casinocity.com, we compete with legalized gambling in some form (casinos, racetracks, bingo) in 46 states and many countries. Is it a lot of work to be a board member of the LVCVA? You bet it is! 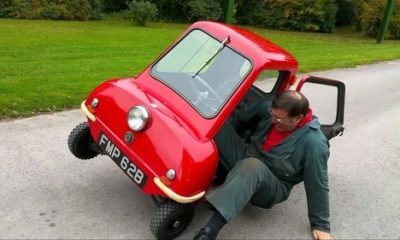 Buckle up buttercup, it’s a grueling schedule and isn’t for the faint of heart. In 2018, I had the honor and pleasure of going to Brazil on my first international project! 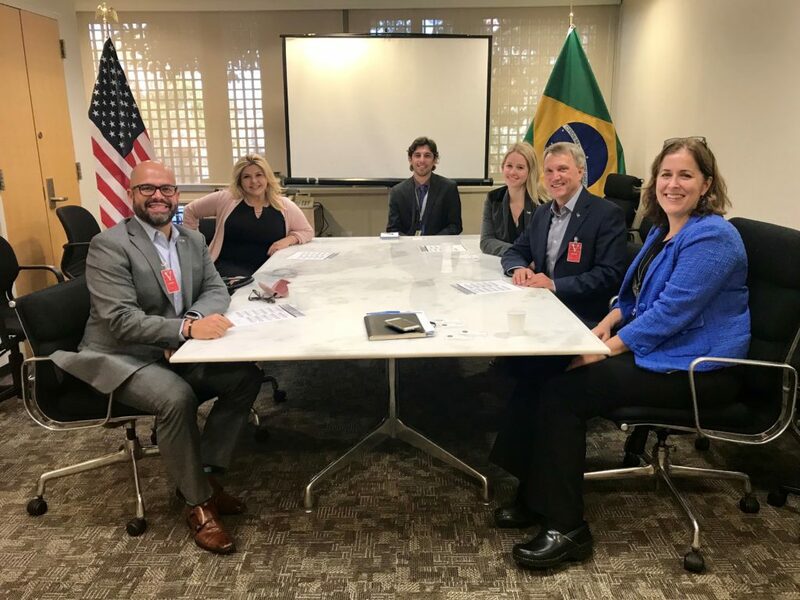 The picture above was taken at the U.S. Consulate, where we met with Commercial Officer Sarah Cook and Commercial Assistant Thales Demarchi, who are in constant communication with us, creating even exchanges of business opportunities between Brazil and Las Vegas. It was wonderful to meet them. 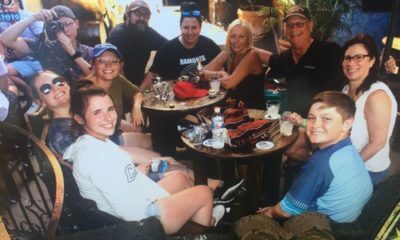 Leave home Sunday at 12:30 p.m. to arrive at McCarran Airport by 1:30 p.m., depart at 3:48 p.m. to connect in Houston then land in Sao Paulo Monday at 10:00 a.m. We hit the tarmac, got our bags, a taxi, dropped our bags at the hotel and headed to tour the LATAM office. Worked, worked, and worked. After dinner with the LATAM staff, we had just enough time to go to the lobby and watch our Golden Knights win the first game of the Stanley Cup. Tuesday we had our formal presentation and announcement event, which didn’t conclude until 11:00 p.m. Wednesday we had budget and planning meetings all morning until we had to fly back to Las Vegas that afternoon. I didn’t have time to get a sticker or even a Brazilian dollar! I saw Brazil through our taxicab and hotel windows, and as soon as we landed in Las Vegas, it was back to City Hall for me – no time for jet lag! In 2016, we welcomed nearly 6 million international visitors, with more than 150,000 of them coming from Brazil. In 2017, Las Vegas welcomed 42.2 million visitors, 46 percent of them traveling by air. Now, we are incredibly honored to have a new partnership with LATAM Airlines so that our Brazilian visitors can fly straight to us! This project took continuous efforts of many people over the course of several years, and the time is finally here. 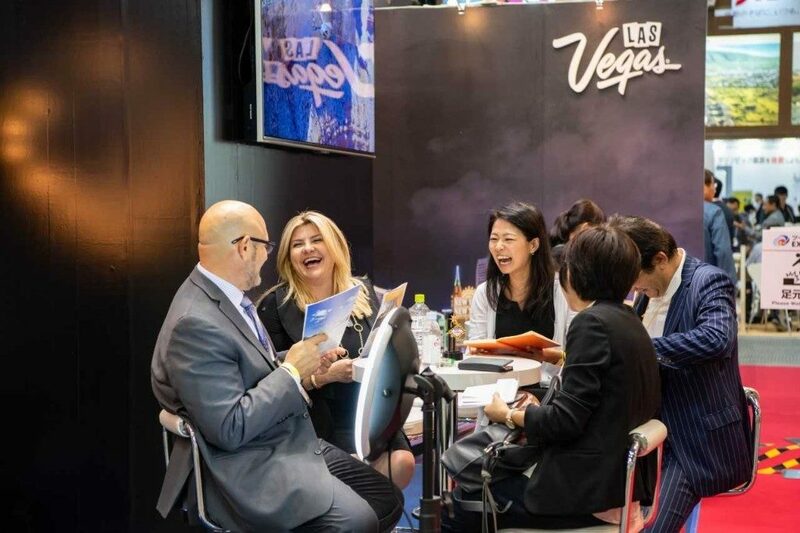 Direct flights to Las Vegas is a top priority for the LVCVA. Saturday, June 2, 2018, was the first nonstop seasonal flight to Las Vegas, which arrived Sunday, June 3. Brazil represents our fourth strongest international market when it comes to convention and trade show delegates, after Canada, China, and Mexico. This partnership will create an estimated economic impact of almost $21.9 million. The above picture was taken at LATAM headquarters. This trip was extremely productive. All in all, I feel that my first trip with the LVCVA was a great success and I’m happy to announce our new partnership with LATAM! 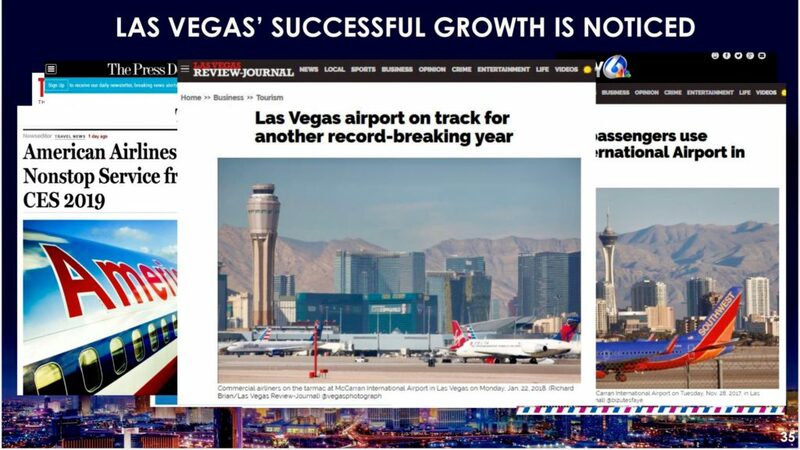 Of course, our LAS VEGAS REVIEW-JOURNAL has been tracking the success of our LVCVA for some time. 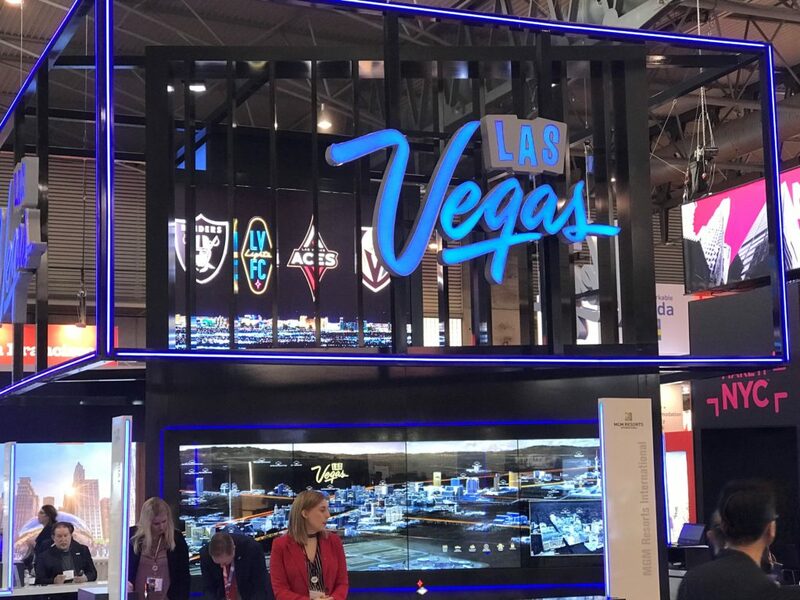 Airline development leaders with McCarran and the Las Vegas Convention and Visitors Authority said Tuesday they expect the airlines serving the Las Vegas airport to provide an average 77,166 seats a day into the market by February, a 1.6 percent increase over the current total. The above pieces to the article was reported in 2017, here’s another article less than a year later the Review -Journal wrote showing our growth, check this article out by Art Marroquin from April of 2018. Thanks Art! 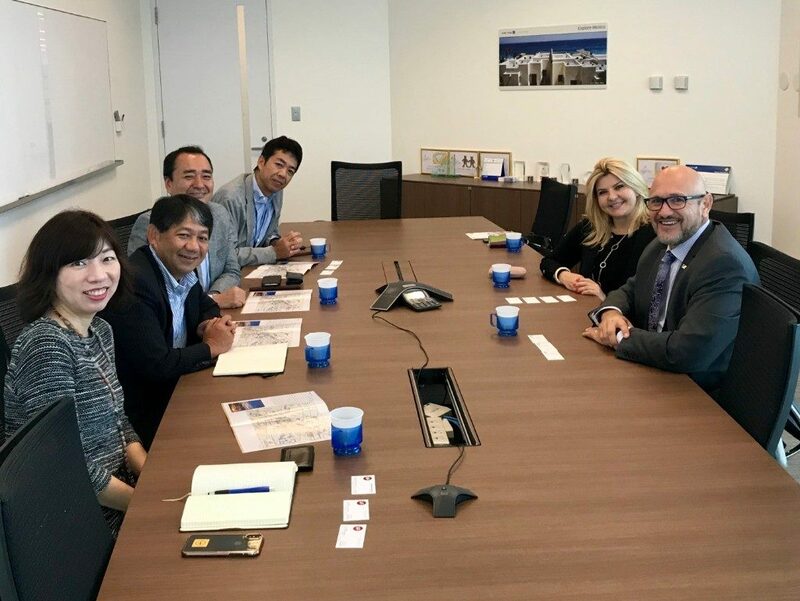 The trip to Tokyo was for the Japan Association of Travel Agents (JATA) Tourism Expo, Japan’s most important travel and tourism event. Talk about a grueling schedule – this one was it! 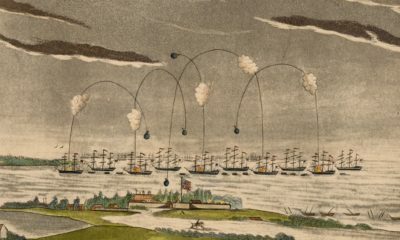 Starting with waking up at 2:00 a.m., leaving home by 3:00 a.m. get to the airport at 4:00 a.m. to catch an international flight at 6:00 a.m., which flew to San Francisco to connect to the plane to Tokyo. Landed in Tokyo at 2:45 p.m. and went straight to the hotel, arriving at 4:00 p.m. to change and attend the first meeting of the trip at 5:30 p.m. that day. It was go-go-go. 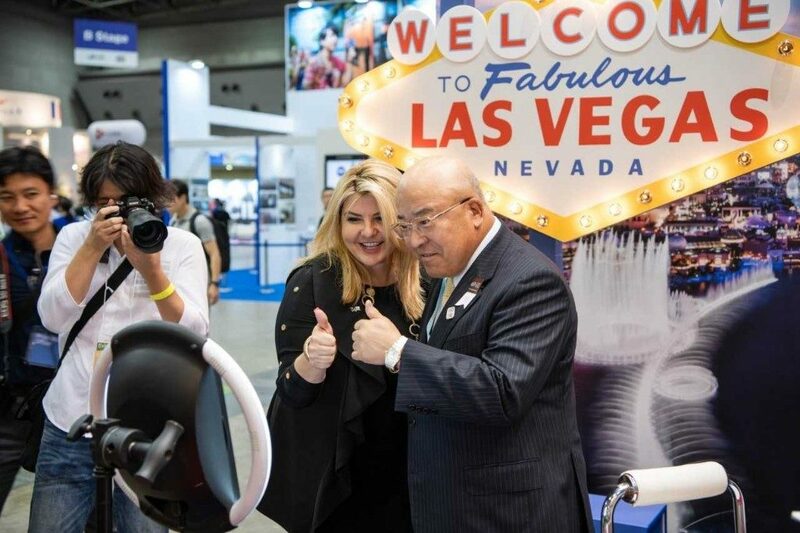 We met with top officials of three different airlines, our U.S. Embassy representatives, The Brand USA team and also had our own LVCVA booth at the Tourist Expo at Tokyo’s Big Site Convention Center, with many foreigners lined up around our booth to learn how to visit Las Vegas. 100% SUCCESS! It was exciting to meet the people from The Brand USA. They have tourist agencies worldwide and create films and books about our country, our National Parks, etc., to promote tourism in America. We viewed the screening of “America’s Musical Journey,” and it was fantastic. Of course, our city of Las Vegas had a BIG role in it! Me with Mr. Hitomi Tagawa, Chairman of the Japan Association of Travel Agents (JATA), and the former CEO of JTB, the largest tour operator in Japan. Rafael Villanueva, Senior Director of International Sales, and me, sitting with the executives of United Airlines. Working on DIRECT FLIGHTS! 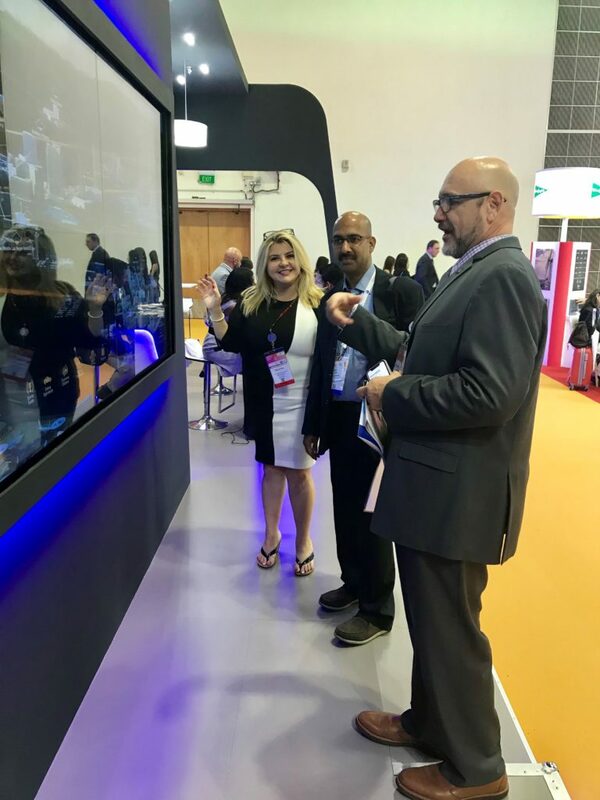 It was so exciting to visit Singapore for Internationale Tourismus-Börse Asia, which is the leading travel trade event for the Asia-Pacific region. Another very long trip – I left home on a Sunday at 3:00 p.m. to get to the airport by 4:00 p.m. to fly to Los Angeles and then connect to the Singapore flight, which is 17 hours long by itself! We landed at 8:45 a.m. Tuesday morning and our first meeting was at 10:30 a.m. It is best to stay awake all day and most of the night to adjust to the time zone change. 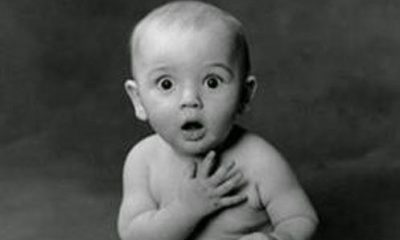 So, it’s back to the hotel room at 10:00 p.m., catch some sleep and be at work by 8:00 a.m. the next morning. Repeat this schedule for two to three days, fly back home, land and go back to work. The first day we were at International Media Marketplace Asia, and met all day with more than 80 Asia Pacific media members, followed by a cocktail reception. 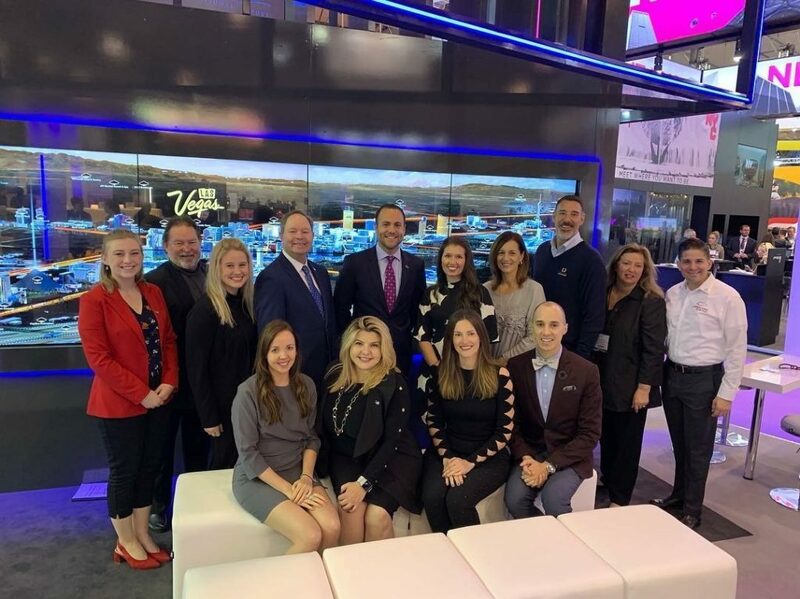 Our goal is to have the top international media companies write about Nevada and everything we have to offer as a complete destination of business, fun, and you can bring the family, too! Good media exposure is our advertising, and it is priceless. 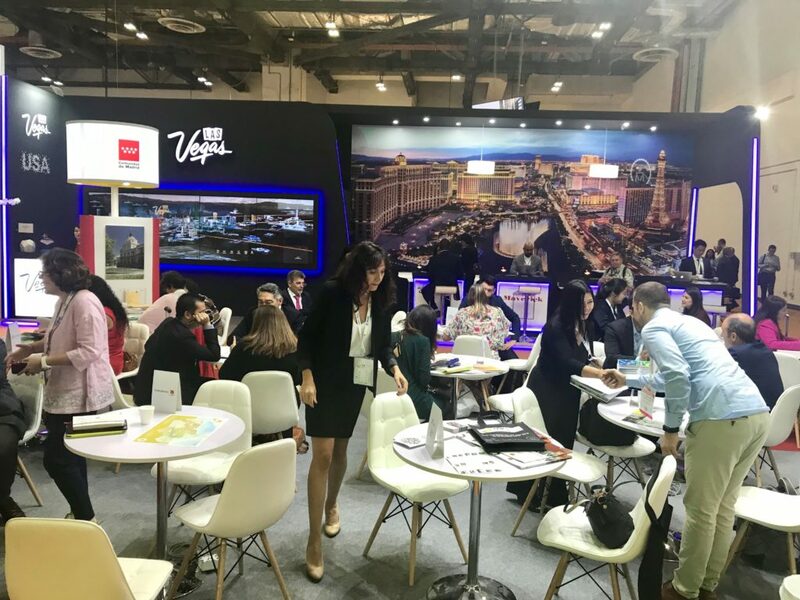 Wednesday through Friday we were in the Marina Bay Sands Expo & Convention Center with scheduled meetings back to back from 10 a.m. to 5:00 p.m. where we met with delegates and buyers from China, Singapore, Malaysia, Indonesia, Thailand, Vietnam, Myanmar, and the Brunei travel industry. We gave a presentation to 100 delegates from the Southwest Asia region. 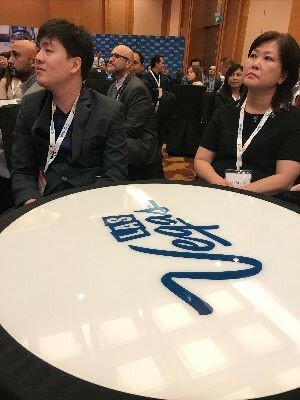 Our goal is to bring our new Asia market friends to Las Vegas! 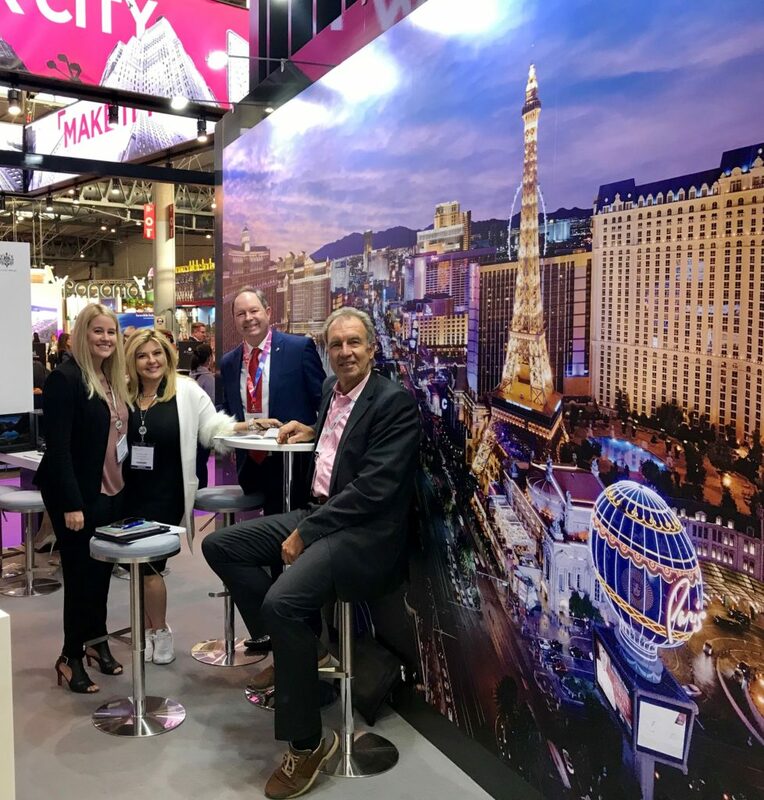 We went to Barcelona, Spain, for the Institute of Business Travel Management (IBTM) World, which is the leading global event for the meetings and events industry. I was just amazed at the size of the conference — there were nearly 78,000 attendees! 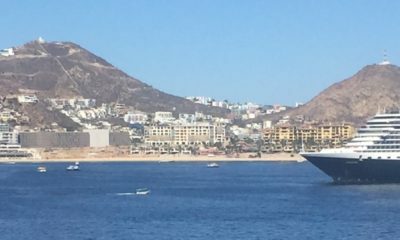 The schedule for that trip was: fly from McCarran at 9:45 a.m. to Newark, New Jersey, to connect to the Barcelona flight, arriving the next day at 9:00 a.m. Work all day, Monday through Thursday, where we met with media from Spain, Germany, Sweden, and a few other countries. 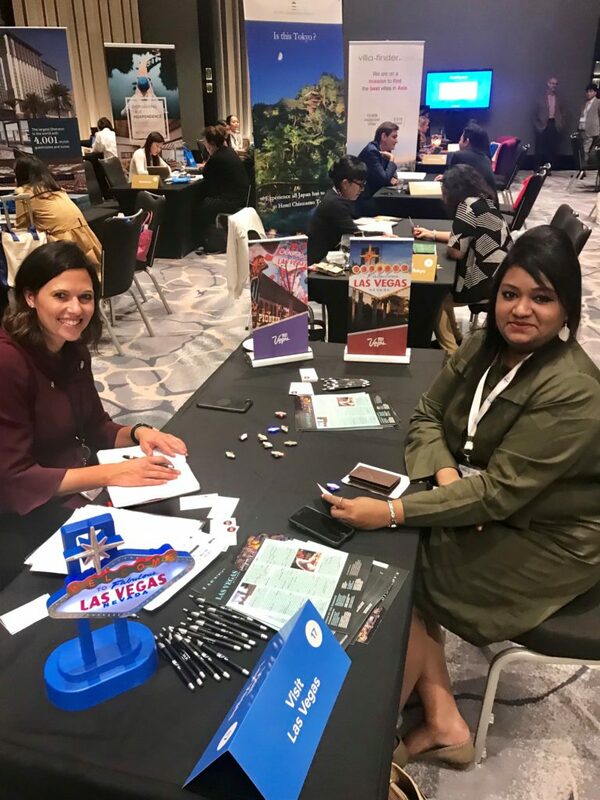 We had back-to-back scheduled meetings with buyers, event planners and industry professionals interested in Nevada. The global visitor audience at IBTM was incredible; there were more than 15,500 meeting industry professionals from across the globe, over 8,300 meeting and event planners and buyers (of which 80% are from Europe), as well as another 4,000+ top-level, international, decision makers guaranteed through the Hosted Buyer Program. All of these expenses — our travel, hotel, and food — are paid for by the LVCVA, which receives its funding to keep heads in beds from a tax paid by tourists when they rent a hotel room. Board members are not paid to travel. We fly business class. A typical travel day is about 20 hours, sometimes longer. If we land and are going straight to meetings or greeted by VIPs, which is what usually happens, then I’ll sleep, change and put make-up on my face on the plane so when we land I’m ready to go. Being a board member of the LVCVA is an honor. It’s a traveling board to go abroad, sell Vegas and bring 42 million tourists back into our beautiful state. I can go into number stats that would take up 10 more pages. Think about the tourism workforce. Without tourism, where would we be? A little town in Nevada? Vegas is Vegas; Nevada has so much to offer in so many places like, Red Rock, Hoover Dam in Boulder City, Henderson, Mesquite, Laughlin, Elko, Reno, Carson City and so many more destinations right here in Nevada. We need to let the whole world know about it constantly! It would be remiss of me if I didn’t tell you about the LVCVA men and women and their partners that work day in and day out and travel all year long to make sure Nevada stays Number One. The work ethic of the LVCVA Team and partners are admirable. As an employer, I’ve met and hired over 2000 Nevadans in the 26 years I’ve lived here. Work ethic, kindness, knowledge and being genuine is the key ingredients employers pray to find. The LVCVA should be very proud of their employees because they truly are A Dream Team. The partners of the LVCVA are a perfect match. Thank you all for being wonderful to work with.